After a bit of shoddy week 23, things were back to relative normality in week 24 with a score of 77 points. I guess Chelsea let down many owners with their non-performance against Hull and it was a certainly a surprise to see goals conceded in both games. I had Fat Frank as captain who scored a disappointing seven points, but you have to assume he’ll get back to more productive ways shortly. I had spent eight points bringing in a trio of Hunt, Lampard, Anelka and 29 points was just about acceptable from their six games. I had loads of Sorensen points marooned on the bench for the umpteenth time this season but I was pretty pleased overall. Ten extra points gained on the guys behind me in our league, 44 overall now – slow and steady does the job! Maverick thinks you should smile if you've won Top Gun. Something isn’t right when Chelsea play twice and none of their players top score for the week. Aston Villa’s Gabby Agbonlahor scored twice against Fulham and got himself three bonus points for a total of 13, which seems like the lowest for quite a while. It’s certainly his highest score of the season and is more than his total for the last six weeks combined! Following closely behind him were Hunt and Mouyokolo of Hull with 12 each. Hunt in particular is developing a nice line in performing in double gameweeks. Tim Cahill got 11 and there were four players on ten points. 1. Drogba/Chelsea – Arsenal got tonked 3-1 by Man Utd last week and lost 3-0 to Chelsea earlier in the season. 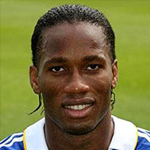 They meet the Blues again on Sunday and will face chief tormentor Didier Drogba. He’s scored ten goals in eleven games against the Gunners and marked his return to Premier League action with a midweek goal against Hull. The only way picking Drogba as captain is a bad idea is if there was some kind of Phil Senderos curse on Arsenal which ensured Drogba always scored (usually while tormenting the Swiss) which has now been lifted with his departure to Everton. Unlikely I know. 2. Rooney/Man Utd – I’d wait until Saturday morning just to make sure there’s no chance of Rooney being rested for this home game vs Portsmouth. With Man Utd’s upcoming schedule being quite tough, it could be an ample opportunity for Fergie to give him a breather. You probably have nothing to worry about but he has to stop scoring sometime, right? To be honest it probably won’t be vs Pompey will it? 3. Bent/Sunderland – They have been terrible recently but Sunderland have to win soon. Wigan are really hard to judge on any given week so perhaps a cheeky risk on Bent might be an option? He’s been regularly scoring despite the Wearsiders’ woes and could be good value this weekend. A look at some deadline day signings that could prove good fantasy wise. 1. Shorey/Fulham – A fantasy favourite of mine a couple of season ago for his regular assists, his move to Fulham should provide him a chance to get back into that habit. 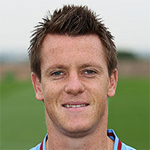 With Konchesky out for the foreseeable a left back spot is there for the taking (he started midweek). Fulham play attractive football and given playing time, he should get a handful of assists plus a few clean sheets for good measure. 2. Moses/Wigan – I think this could be quite an astute signing by Roberto Martinez. 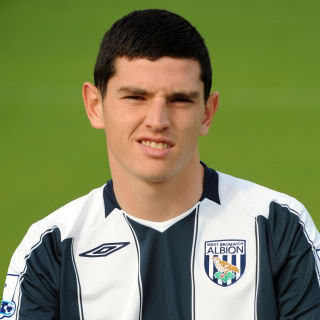 Listed as a £5.5m midfielder, he’ll surely get some chances up front with Rodallega. Jason Scotland has yet to score in the league so it’s not as if his place is secure. On a team with few stars, Moses might shine. 3. Gudjohnsen/Spurs – I’m not sure how much he’d play when Lennon, Kranjcar and Modric are all fit but you never know what Harry Redknapp is thinking. £6m for a Spurs midfielder is pretty good value and whilst he won’t score many now that he plays a much deeper role compared to his early days as a striker, he could be good for some assists and bonus points. 1. 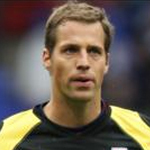 Stoke goalkeepers – Work out which one of Sorensen and Begovic is first choice before playing/transferring them. We should know after this weekend. 2. Kaboul/Spurs – Won’t be first choice. I think. 3. Defoe/Spurs – Before anyone reconsiders, the midweek hat-trick was against Leeds. Leeds play in League One. Defoe is a flat track bully.